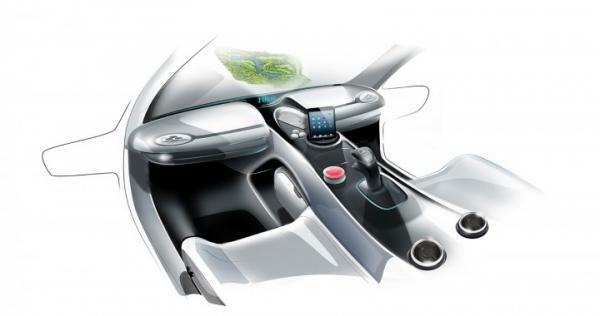 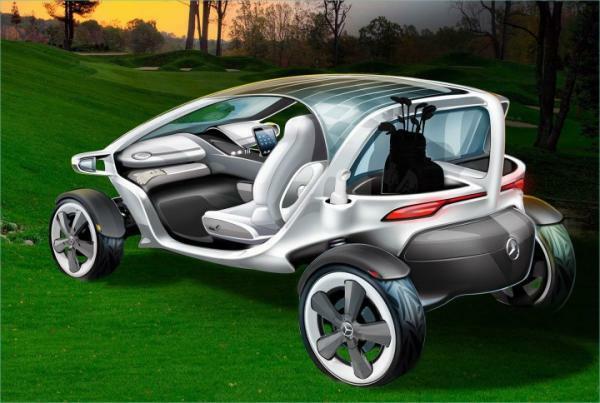 Mercedes-Benz presented Vision Golf Cart design study which starts from the ideas collected from golf as well as automobile fans through an international competition launched earlier this year. 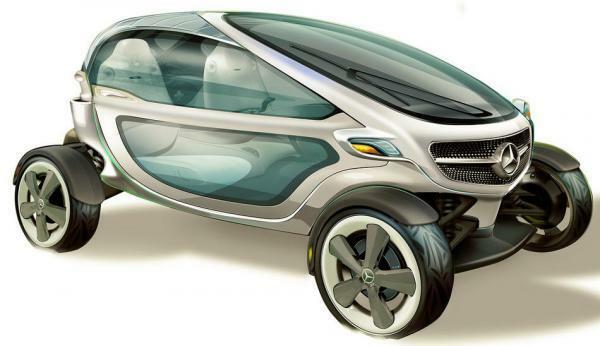 It looks like a mixture of an Opel RAK e, a Renault Twizy, the Electric Audi concept car and it’s still a Mercede. 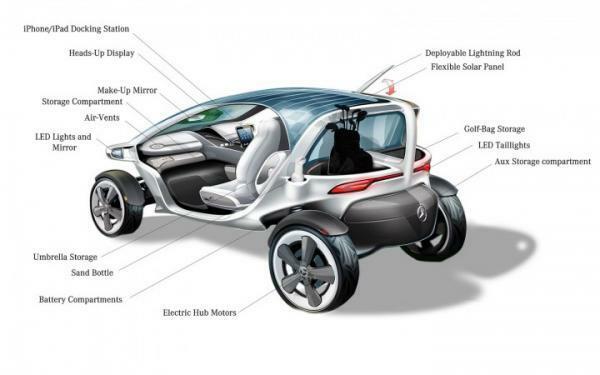 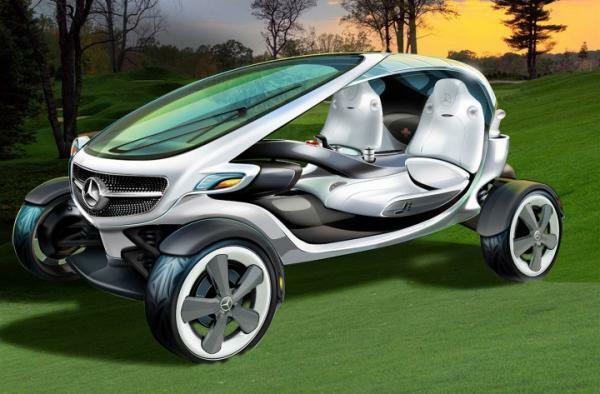 It combines the aspects of Mercedes-Benz vehicles with the functionality of a golf cart. 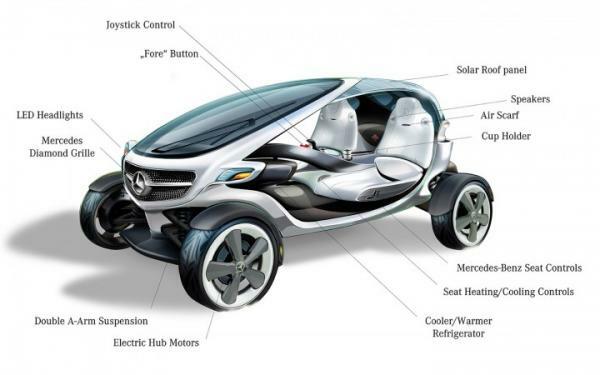 The diamond grille, for instance, was incorporated to give the cart a face that is unmistakably a Mercedes-Benz.